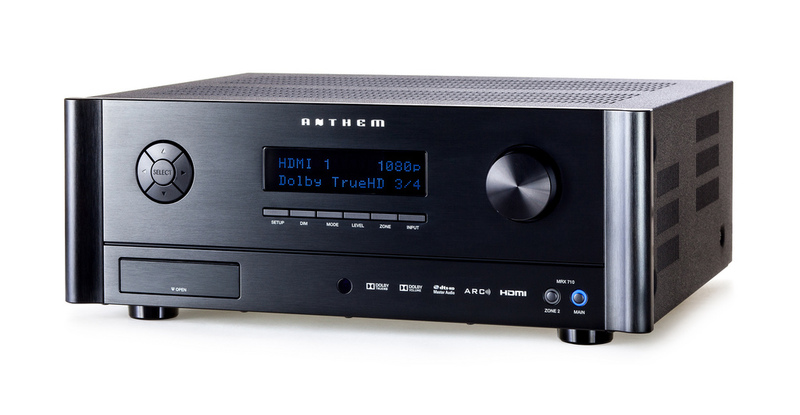 We believe Anthem AV to have some of the best in class AV receivers surround processor/ pre-amps and multi-channel Power Amplifiers in the world. We have the Anthem Statement D2V and A5 amplifiers in our showroom, and are sure you’ll agree with us that they are outstanding. “For more than two decades, Sonic Frontiers International has manufactured award-winning high-end audio/video equipment for music, home theater and distributed audio. Our products are used at all levels of music reproduction and sold internationally under the brand names Anthem AV, and Anthem Statement — the ultimate in high-end audio/video reproduction. Anthem AV products allow you to virtually ‘be there’ every time you listen to a favorite piece of recorded music or experience the excitement of surround-sound home theater. Our reputation in analog and digital design is legendary and our products continue to receive industry awards and acclaim in the finest magazines. Around the world, Anthem AV is consistently the brand of choice for leaders in the field of music and entertainment. We believe that the latest MRX range of AV receivers sit at the pinnacle of value for money, offering superb performance in a compact package. They are capable of outstanding HD audio and 3D performance, and pair well with the DALI Ikon or Mentor speaker packages. We have an MRX-710 as our main showroom AV receiver, and are always happy to show it off if you want to come and hear/see what it can do.